Natural gas is set to become a fuel of choice as residential and industrial demand shifts from less efficient coal and wood. New technologies such as horizontal drilling and hydraulic fracturing allow access to shale gas reserves trapped deep underground as far as 10,000 feet below the surface. The United States is currently the major beneficiary of this technology, which allowed production of shale gas to increase from 4.86 trillion cubic feet per year (Tcf/y) in 2010 to 8.6 Tcf/y in 2013. 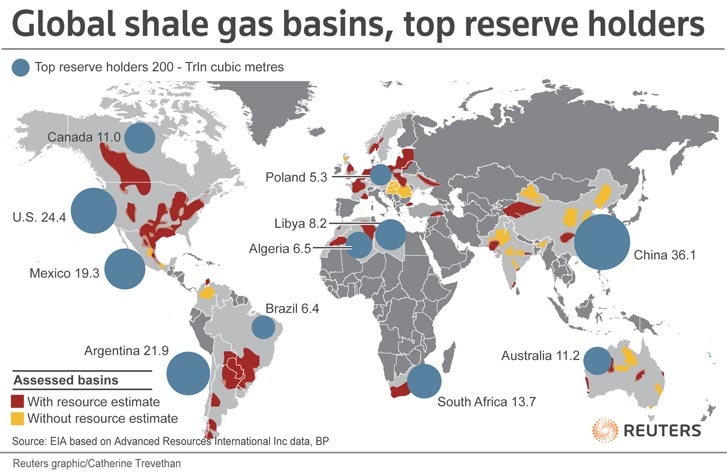 The United States is not the only country that has an abundance of shale gas. China, for example, has 1,115 trillion cubic feet- 36 tcm- (25.08 trillion cubic meters according to the Chinese Ministry of Land and Resources) of technically-recoverable resources compared to U.S. 665 Tcf, while Argentina has 802 Tcf, and Mexico slightly trails the United States with 545 Tcf.2 These countries, however, are several years behind the U.S. in production capabilities and infrastructure. China’s Seven Best Shale Gas and Shale Oil Basins. Source: EIA/ARI World Shale Gas and Shale Oil Resource Assessment, June 10 2013. China’s deposits of shale gas are about 4 kilometers deep compared with 2-4 kilometers in the United States. PetroChina’s first horizontal shale well in the Sichuan Basin required 11 months to drill, versus the usual two-to-three weeks in North America.3 Additionally, most of the shale gas deposits in China are located in arid west and southwest areas. Sichuan basin in southwest China is the most likely region to see early shale gas success, due to proximity to water supply required for hydraulic fracturing. A typical well requires around 5 million gallons of pressurized water, depending on the well and geological formation, to drill and fracture the rock pores, freeing the gas trapped within. Chemicals in the water prop the pores open and allow the gas to flow, where it can be forced to the surface and extracted. Political constraints add additional levels of scrutiny for international companies searching for and extract shale gas. Shell was one of the first companies to sign a production sharing agreement with China National Petroleum Corporation (CNPC) — in March 2012 for shale gas exploration, development and production in the Fushun-Yongchuan block in the Sichuan Basin. The contract area covers approximately 3,500 square kilometers.4 However, the area is densely populated and intensely farmed, which complicates building of drilling sites and requires the companies to halt operations due to government requests and blockades by local villagers. In addition, the country still hasn’t finalized fracking regulations required for stable operations. Despite Chinese government reliance on shale gas production to reduce import of gas from Russia and other countries, the government still controls prices at which gas may be sold, potentially affecting producers’ profitability. All these issues weigh heavily on China’s prospects to achieve its ambitious target of raising natural gas to 8% of its total energy consumption by 2015, up from 4% in 2010. 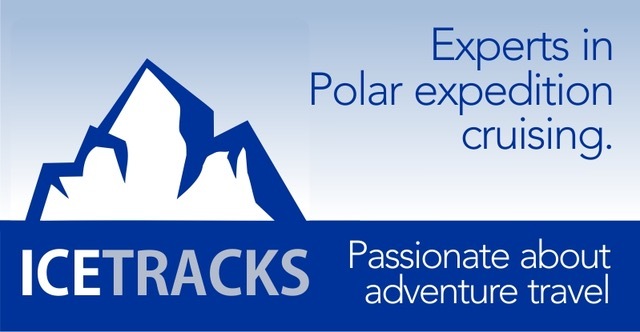 Expropriation of assets is one of a diversity of innovative takings engineered by the government of Argentina, and of great concern to private companies considering investments in shale gas development. Reversal of subsidies and contracts also make it much harder for companies to commit. In 2011 Argentina had offered a $461 million tax break for mining and oil companies. They withdrew the offer in early 2012. Then the country ordered companies to repatriate export revenue from the previous year and convert it to the Argentine peso. 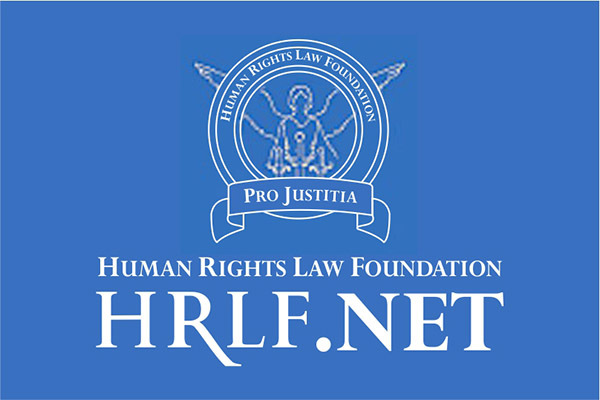 The government had also restricted use and transfer of the United States Dollar in and out of the country, even for the purpose of repatriation of profits. Another concern is Argentina’s potential default on its debt, which led to a high-stakes court case and 2012 impounding of Argentina’s naval ship in Ghana. The government of Cristina Fernandez de Kirchner has manipulated inflation figures, which defrauded investors in government bonds of millions of dollars. Argentina also imposed price caps on the domestic sale of gas, and implemented export limits and high duties on exports, making domestic markets unprofitable and significantly reducing E&P investment to the benefit of consumers. According to Barclays Capital report, GDP expanded US $165bn in 2003-2010; at the same time, energy prices fell almost 30% causing oil production to drop 12%, and gas production to decline 2.3%12 (10% from a 2006 peak, according to the EIA).13 Labor policies and frequent strikes also negatively affect the gas industry, which accounts for almost one half of Argentina’s total energy consumption. In an effort to increase investment into unconventional hydrocarbons, the government issued a decree in July 2013 allowing companies that invest more than $1 billion in five years to export 20% of production abroad at world prices, and be exempt from repatriation of profits and export taxes.14 However, interest in such investments require that the government first prove itself with an improved track record. Mexico is a major non-OPEC producer and has an estimated 545 Tcf of technically recoverable shale gas, according to the U.S. Department of Energy. In 2011, the first shale gas concession was developed in Coahuila state, in a formation across from the Texas border that is part of the Eagle Ford area.15 The Mexican government estimates that development of shale gas resources will require $7-10 billion per year, and full development will take 5-8 years. However, until recently only state-owned companies could own equity in oil and gas projects and NOC Pemex was said to have invested only $200 million over three years to assess the country’s shale gas reserves.16 Increased shale gas production in the United States, on one hand, and benchmarking Mexico gas prices to lower United States prices at Henry Hub in Louisiana, on the other, contributed to 50% growth in gas imports from the U.S. in 2011 and further delayed shale gas and LNG development. Mexican President Enrique Pena Nieto signed a significant oil industry reform at the end of 2013 that allowed international companies to enter production-sharing agreements with state-owned Pemex. This is a reversal of the 1938 decision by then-President Lazaro Cardenas to expropriate and nationalize all oil and gas reserves in the country. While the implemented reforms were less aggressive than many analysts had expected, they were still praised globally as a major step towards industry liberalization and Mexico’s move towards the Norwegian energy model, where companies enter profit-sharing agreements with the state, but don’t own underlying resources. The Mexican government hopes such reforms will attract foreign investment and help Pemex reverse its falling production (down 20% in a decade) and declining proven reserves (down a third).17 Met with fierce opposition from the leftist Party of the Democratic Revolution (PRD), it still remains to be seen how the reform may evolve to fit changing political conditions. Globally depleting oil and gas reserves are forcing companies to seek new resources and make concessions to local governments. Despite challenges that companies face in these countries, integrated oil majors are eager to enter these markets and work with their state-owned counterparts in developing shale gas reserves. In addition, lack of infrastructure and technologies, and dependence on new sources of income, will push governments to open their economies and ease their grip on natural resources. Mr. Igor Faynzilbert, CFA, has worked for Barclays Capital, Merrill Lynch, and Bloomberg as a financial analyst. JPR Status: Commentary. Editor: Anders Corr, Ph.D.
“2014 ExxonMobil Energy Outlook”, http://corporate.exxonmobil.com/en/energy/energy-outlook. Accessed January 5th, 2014. “Technically Recoverable Shale Oil and Shale Gas Resources,” U.S. Department of Energy, p11. Shell Global. 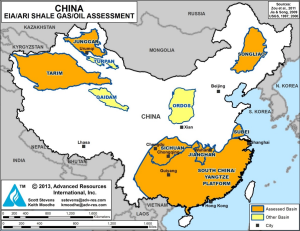 “CNPC and Shell sign first shale gas production sharing contract in China.” http://www.shell.com/global/aboutshell/media/news-and-media-releases/2012/cnpc-shell-shale-gas-psc-china-20032012.html. Accessed January 5th, 2014. Jennifer Tomsen and Marc Davies: “Shale Gas in Asia: Significant Reserves, Substantial Challenges”, accessed January 6th, 2014 http://about.bloomberglaw.com/practitioner-contributions/shale-gas-in-asia-significant-reserves-substantial-challenges/. Accessed January 5th, 2014. Jane Nakano, Ksenia Kushkina, Jan. 29, 2013. “China Awards More Shale Gas Blocks Although Much Remains to be Seen,” Center for Strategic & International Studies. 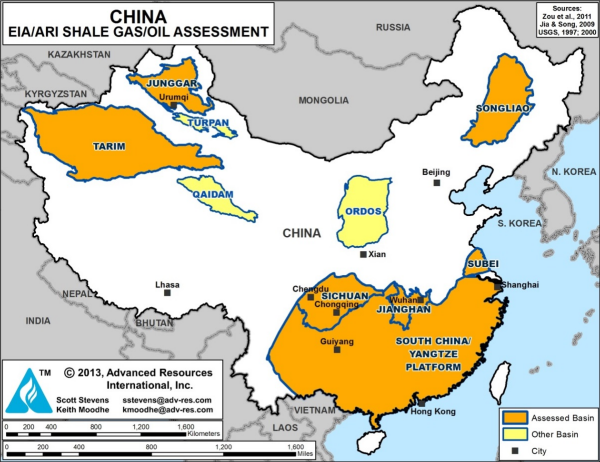 http://csis.org/publication/china-awards-more-shale-gas-blocks-although-much-remains-be-seen. Accessed January 5th, 2014. “Technically Recoverable Shale Oil and Shale Gas Resources,” US Department of Energy, pp V-1. “Chevron, Argentina’s YPF Sign Accord to Develop Vaca Muerta Shale” http://investor.chevron.com/phoenix.zhtml?c=130102&p=irol-newsArticle&ID=1838248&highlight=. Accessed January 5th, 2014. “Argentina’s shale gas holds promise, but better policies needed” http://www.platts.com/latest-news/natural-gas/washington/argentinas-shale-gas-holds-promise-but-better-21607352. Accessed January 5th, 2014. David R. Mares “Shale Gas in Latin America: Opportunities and Challenges” p.8 http://www.thedialogue.org/uploads/MaresShaleGasforWebposting.pdf. Accessed January 5th, 2014. Abigail Wilkinson: “Government will up sector intervention – analyst”. February 8, 2012. http://www.bnamericas.com/news/privatization/government-will-up-sector-intervention-analyst. Accessed January 5th, 2014. Energy Information Administration. “Argentina.” http://www.eia.gov/countries/cab.cfm?fips=ar, Accessed January 5, 2014. David Mares, PH.D. “Political Economy of Shale Gas in Argentina”, November 1, 2013. P 28. http://belfercenter.hks.harvard.edu/files/CES-pub-GeoGasArgentina-110113.pdf. Accessed Jan 5th, 2014. David R. Mares “Shale Gas in Latin America: Opportunities and Challenges” p.10 http://www.thedialogue.org/uploads/MaresShaleGasforWebposting.pdf. Accessed January 5th, 2014. Laurence Iliff, Dow Jones Newswires: “Pemex to Spend $200 Million Looking for Shale Gas”. http://www.rigzone.com/news/oil_gas/a/120634/Pemex_to_Spend_200_Million_Looking_for_Shale_Gas. Accessed January 5th, 2014. “Make or Break for Pena Nieto”. The Economist. econ.st/1doPNk7 Accessed Jan 5th, 2014. 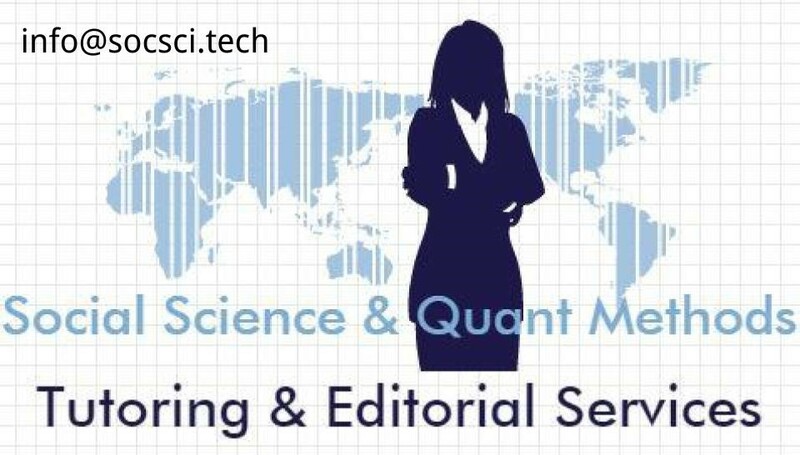 This entry was posted in Argentina, Asia, Central America, China, China, Commodities, Gas, Mexico, North America, Oil, South America, United States of America, United States of America by admin. Bookmark the permalink.